In addition to videos specific to Bayocean history, Tom Olsen of Anchor Pictures also produced Politics of Sand, a documentary about the Oregon Beach Bill. The film is based on Oregon Beaches, A Birthright Preserved by Kathy Straton, who narrates, and Grasping Wastrels vs. Beaches Forever by Matt Love, who provides poignant opening and closing remarks. 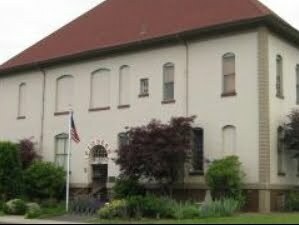 It can be seen in segments on Vimeo, or purchased (with some extras included) as a DVD from the Cannon Beach History Center. 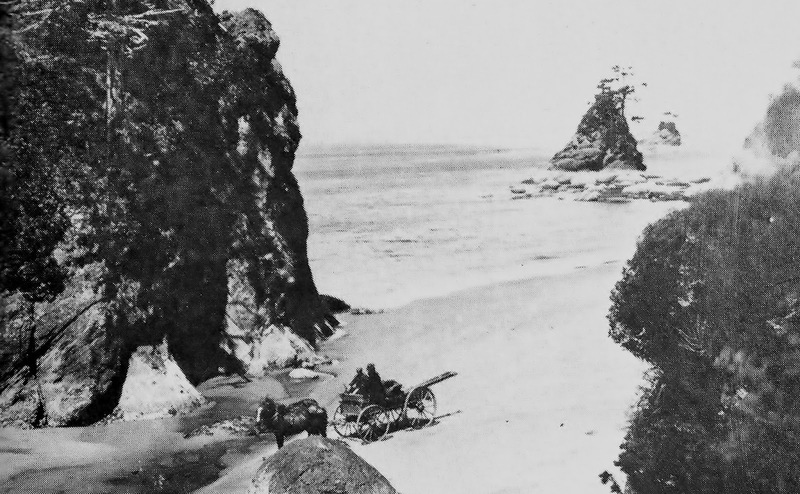 The right to access all coastal beaches is taken for granted by Oregonians today, but that was not assured until the Oregon Beach Bill passed in 1967. Forces were in play then that would have restricted beach access to adjacent property owners, as was the case - and still is - in most other coastal states. The video shows how close the Oregon Beach Bill came to failing, and lays out all the the pieces that had to fall in place for it to pass and survive legal challenges. Until Highway 101 was finished in 1932, beaches provided key transportation routes for travelers along the Oregon Coast. 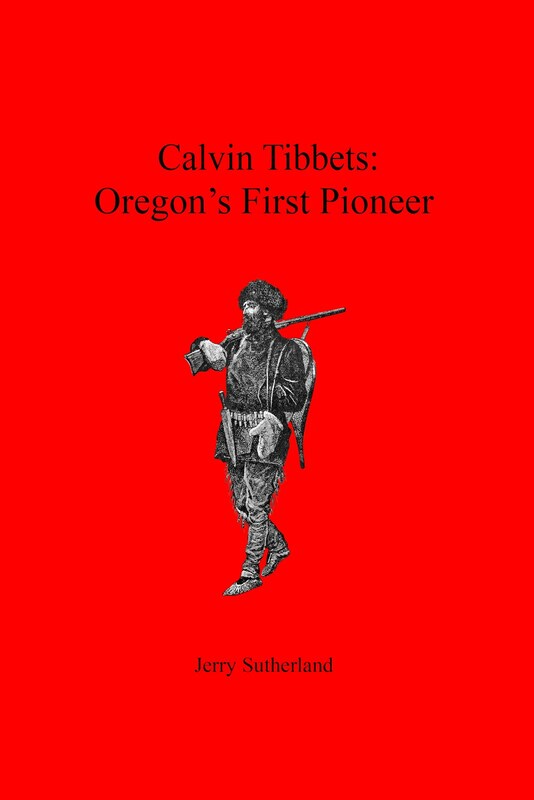 No one seemed to realize that the Oregon Legislature had put this in jeopardy when they started selling tidelands to settlers, until Governor Oswald West came along in 1911. He pushed through legislation in 1913 that declared the wet sand area between low and high tide as a public highway. Governor West's bill did not address the dry sands between high tide and the vegetation line because vehicles wouldn't travel there. This meant that only private landowners had the legal right to hike on the beach at high tide. No landowners enforced their right to exclude the public from dry sands until 1967. The actions by just a couple resort owners led to passage of the Oregon Beach Bill. The landowners that sold to the Potters had tideland rights, so Governor West's 1913 bill did not matter as far as Bayocean was concerned: wagons and cars could drive the entire length of the beach if they wanted to. So, the Potters could have saved money by building concrete roads only on the inland sections of the spit, and let people drive to the Natatorium from Cape Meares on the beach. Evidently, they were willing to spent a lot of money to make sure resort customers weren't impeded by high tide or winter storms. Their dreams were more powerful than their accounting, because they lost their development to foreclosure before a road from Tillamook to Bayocean was built. If you look closely at the drawing in Bayocean Then and Now, you can see a "zone line" shown separate from the "vegetation line" in some places. Paul Levesque explained that this was a result of the Oregon Beach Bill. Politics of Sand explains why. Following passage of the bill, and as mandated by it, Oregon State University engineers established the zone line to be a permanent boundary between public/private use, that would endure regardless of changes in the vegetation line.